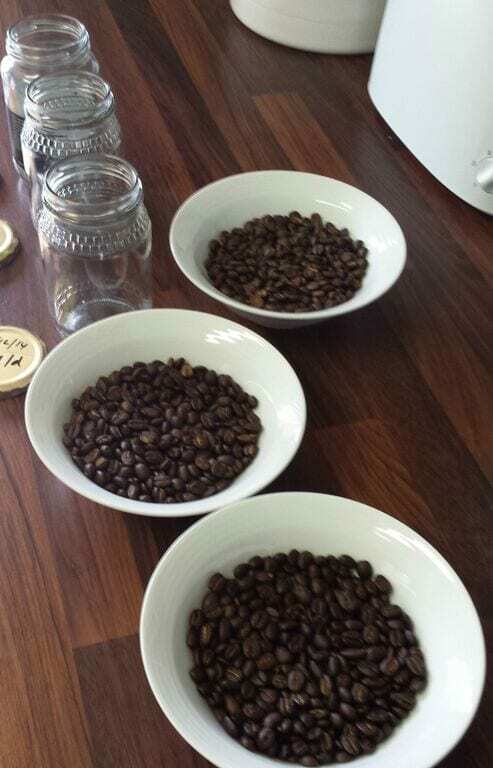 Roasting at home has always intrigued me, yet until recently, I’d shied away from trying it. Why bother when it’s so much easier to buy freshly roasted, high-quality coffee? Wouldn’t it just be too much effort and too difficult? Well, it turns out it’s actually not too much effort or too difficult—depending on your method. The first method I tried was pan roasting. The result? Burnt coffee. Lots of burnt coffee. After opening all the windows and adding the burnt beans to the compost heap, I decided that it wasn’t for me. That’s not to say it’s a bad method for everyone (let us know if you have more success with it), but I was looking for something a little easier to do well. Next, I used an air popper, and was blown away (no pun intended) by the results. It’s exactly what I was looking for: easy, consistent, and resulting in amazing coffee. So, What Do You Need to Home Roast Coffee? A small air popper. Make sure it has side vents on the inside rather than a grid at the bottom, otherwise you won’t get enough air flow. Green beans (approx. 80g at a time). A dish to put the roasted coffee in. 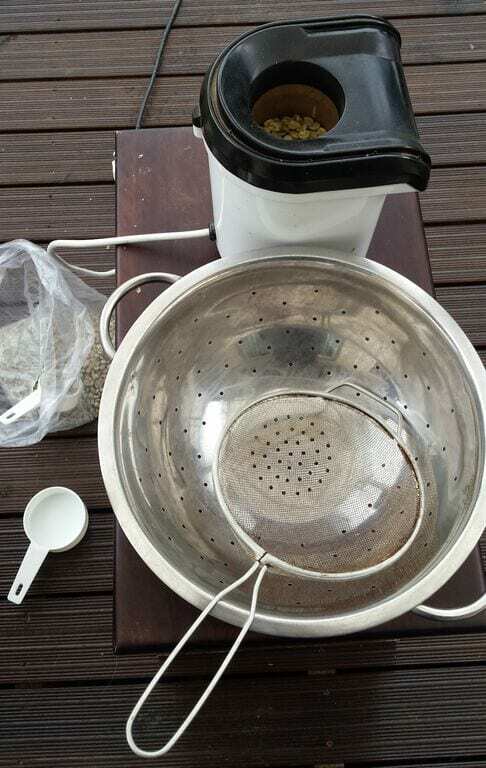 My home coffee roasting kit. First of all, it’s best to do this outside. Trust me, you’ll thank me for this. Roasting inside gets very, VERY messy; there’ll be quite a lot of chaff flying around. Not only does doing it outside protect your carpet, but if there’s a light breeze it blows the chaff away from the air popper, which is so helpful. If there’s not a breeze, set up a small fan a metre or so away from you and blowing across the popper. And if you must roast inside, at the very least, make sure there’s decent ventilation. 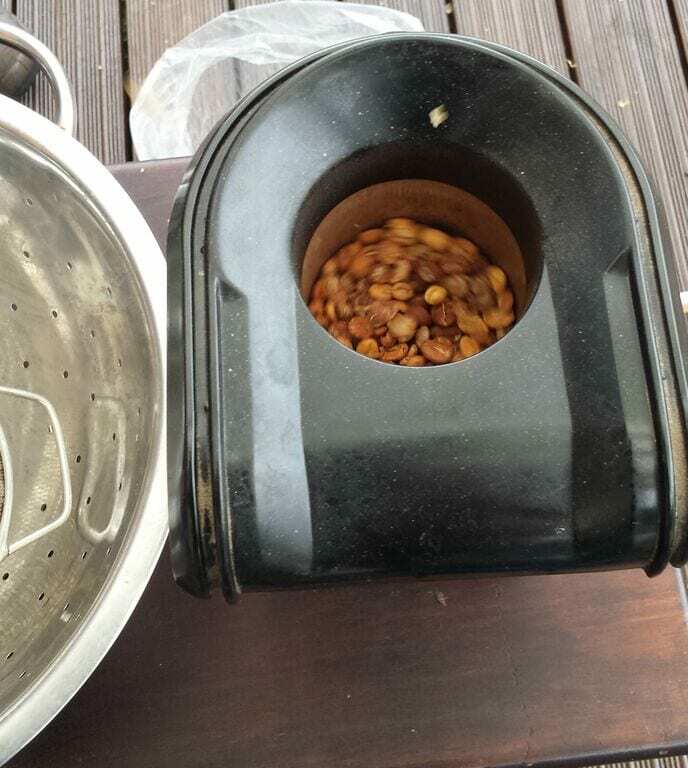 It’s time to add your green coffee beans to the air popper. As I said, it’s good to use approx. 80 grams. However, depending on the size and moisture content of the bean, the ideal amount will vary so don’t be afraid to experiment. As you add the beans, make sure that they swirl around in the popper. This ‘vortex’ will allow all the beans to be exposed to the heated air, ensuring a consistent roast. Think of it like frying food: if you don’t keep it moving, it’ll be burnt on the bottom and uncooked at the top. 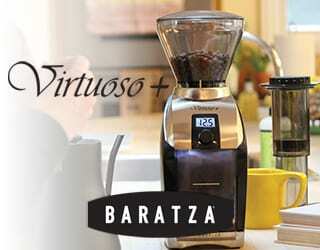 A vortex ensures an even roast. You don’t need to pay much attention at first, but keep an eye out for escaping beans as the roasting time increases. The longer the coffee’s been roasted, the lighter (in weight!) it becomes. 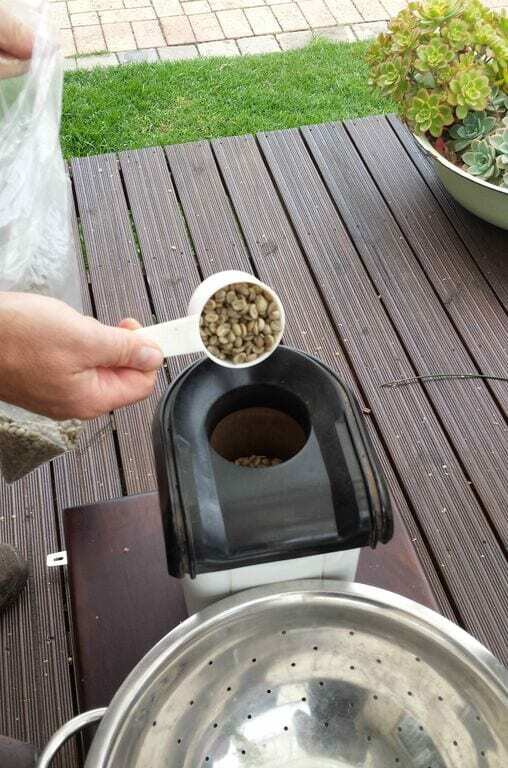 As they start popping up on top of the air popper, use the sieve to catch and return them. Once you hear the first crack, it’s really time to pay close attention. The temperature increases quickly so, depending on the roast profile you’re going for, you may need to act quickly. 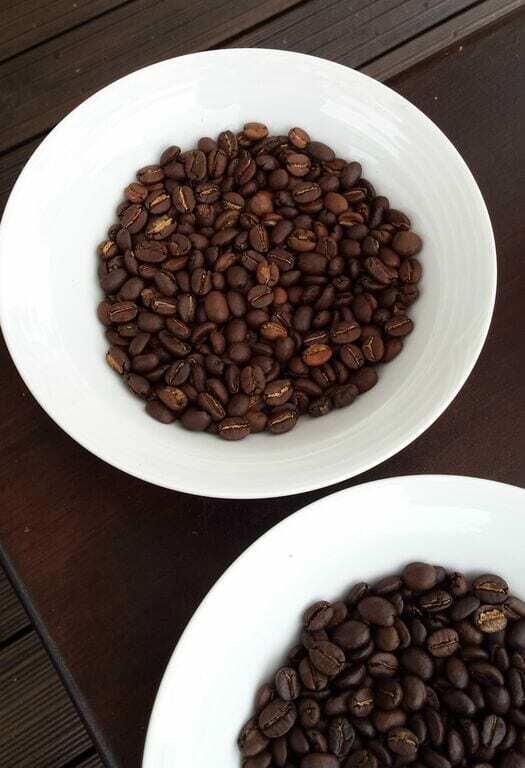 With such a small amount of coffee, it doesn’t take long for the beans to be roasted. 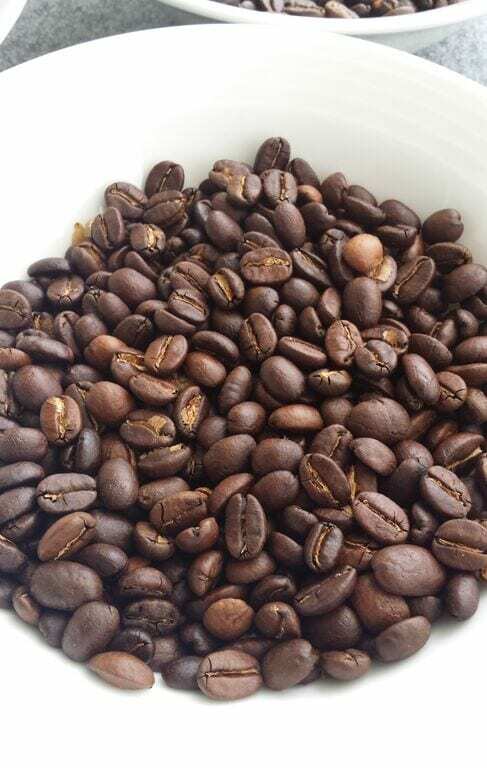 The whole process typically takes between 5-7 minutes, although the exact time will vary depending on the beans and their moisture content, your desired roast profile, and the power outage/temperature of the air popper. It might make it easier if we could control the temperature or air flow, but as long as you’re careful and attentive, it shouldn’t be a problem. Cooling the coffee beans—the longest part of the whole process. Now that the roast has finished, use the colander and sieve to toss the beans. This has two purposes. One, you’re getting rid of any additional chaff. Two, you’re cooling the beans down. A friendly caution, guys: don’t roast back-to-back. The air popper needs time to cool between roasts, so stick to what it says in the instruction manual. Personally, I do 3-5 roasts at a time with 15-20 minute breaks between roasts. It takes a little long, but it’s well worth it! Medium and medium-dark roast profiles fresh out the popcorn popper. Leave the beans for an hour or two, so that they’ve completely cooled, and then you’re ready to package them. It’s best to use metal or glass containers, as it’s better for the beans, and don’t forget to label the lid with the date roasted and the coffee type (plus anything else you want to remember). Don’t seal the container just yet, as the coffee needs to de-gas for a day or two, but it’s fine to put the lids on top. Store the coffee in a cool, dark spot away from harsh aromas or moisture. I find these small batches are good to use after about 6 days—although, of course, they can last longer if they’re sealed! Just look at that gorgeous home roast. Drinking coffee you not only brewed, but also roasted, yourself is incredibly satisfying. You’ll appreciate the taste so much more. 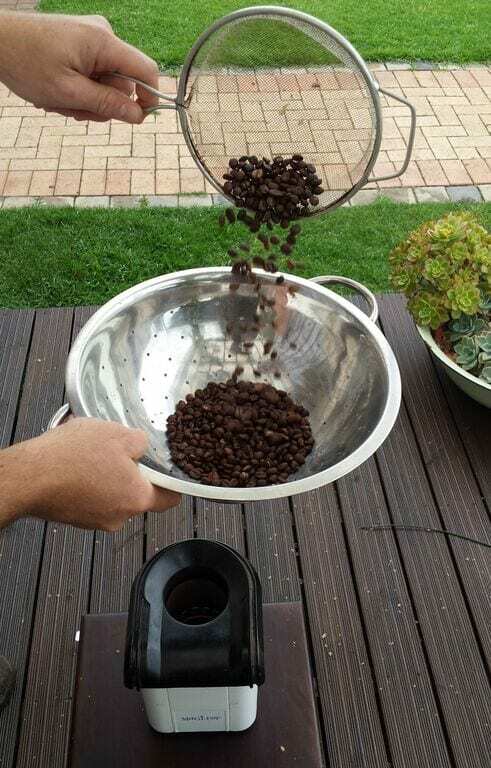 Don’t give up if you make mistakes the first time, because it won’t take you long to master this simple way to roast your own delicious beans. Written by S. Aupiais and edited by T. Newton. Feature Photo Credit: Thys Meades & Shaun Aupiais, Home Roasters.